My buddy's dad took us out for some kings in area 7 in his new duckworth. 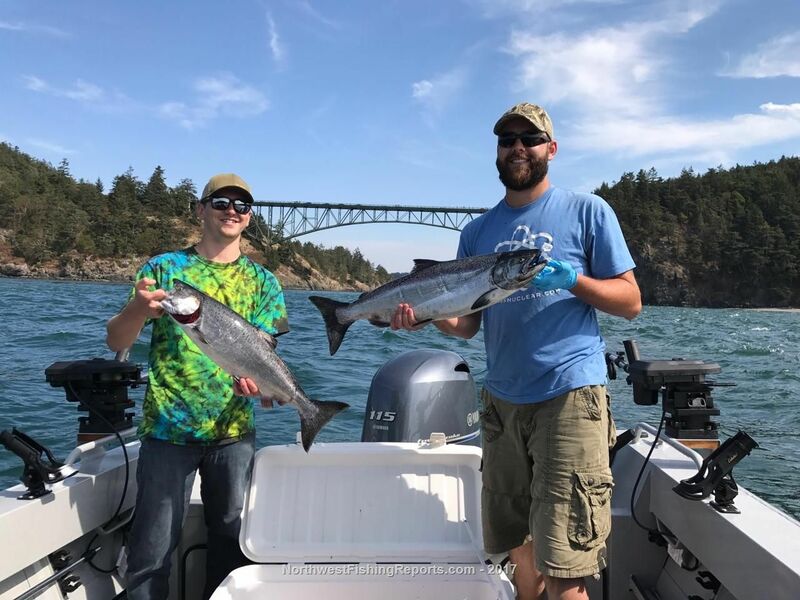 We fished a spot with about 80 other boats. Used coho killers behind flashers. Had a good one in the morning then nothing till around 1230 in the afternoon when the tide changed then it was on. Missed plenty including one who broke the hook out of the lure. 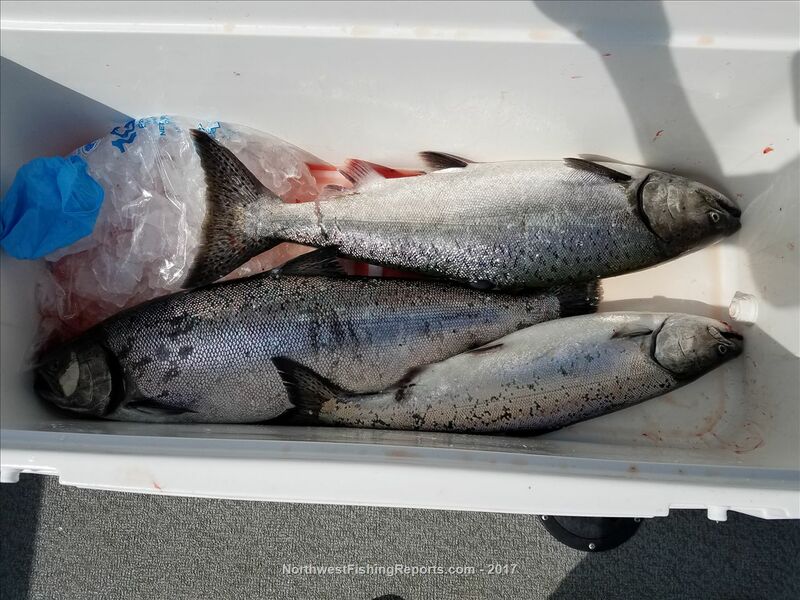 We also got alot of small and medium size coho to the boat before released. We fished downriggers 55 to 85 ft deep in water anywhere from 80 ft deep to 350. It was an awesome day. The 3 of us Got our limit of 3 two being decent size around 11 to 13 lbs I'd guess the others maybe 5 to 7 lbs. Awesome day on the water and also saw a pod of 2 or 3 whales on our way in to top it off. Took some photos near deception bridge near the launch but we were about 25 miles or so out from there. 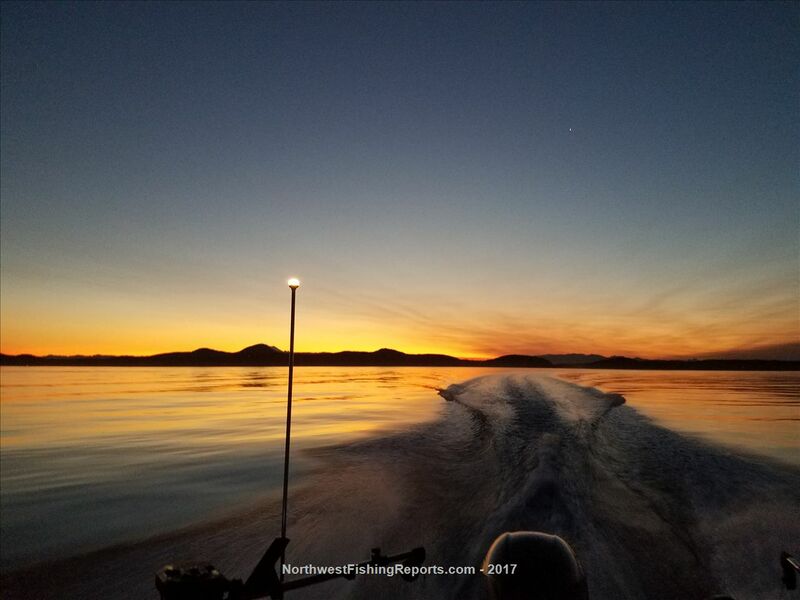 View other reports from fisherman92. Water looked a bit rough though...?????? ?